interested? Of course you would! a difference. This technological marvel can help you return to a healthier lifestyle. You may no longer have to live with a persistent condition. Let us HELP YOU! treatments and reorientation of the nervous system could be done comfortably, while you were sitting in an upright position without any turning or sudden movements? Would you believe that newborns as well as the elderly with osteoporosis can be treated safely and gently? 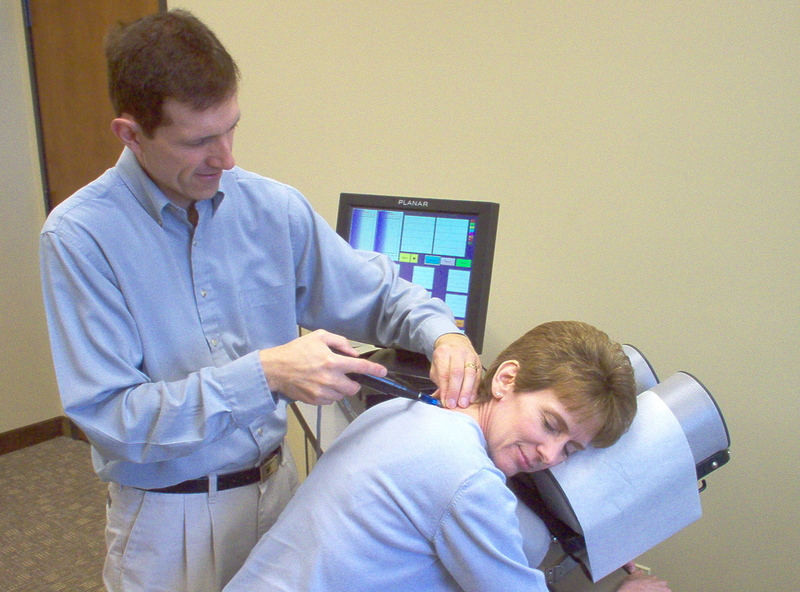 Advances in computers and engineering technologies have been able to uniquely blend with Chiropractic in order to both analyze and treat the human body in such a way that was never before realized. The potential for the human being to end pain and to achieve their peak nervous system function has never been greater. Humans are consistently asking their bodies to perform at higher levels. Now we have the techniques and the technology to match the demand.